The throats of Toulourenc. It is necessary to go up the river bed in the river: Shoes that go in the water obligatory This excursion is not possible if there is too much water in the river. Refreshing swim In addition to the village of Vaison la Romaine and Seguret. Here are three excursions for the day! The Alpilles are a must in Provence: harmony of sublime landscapes, wild nature and preciously preserved traditions. 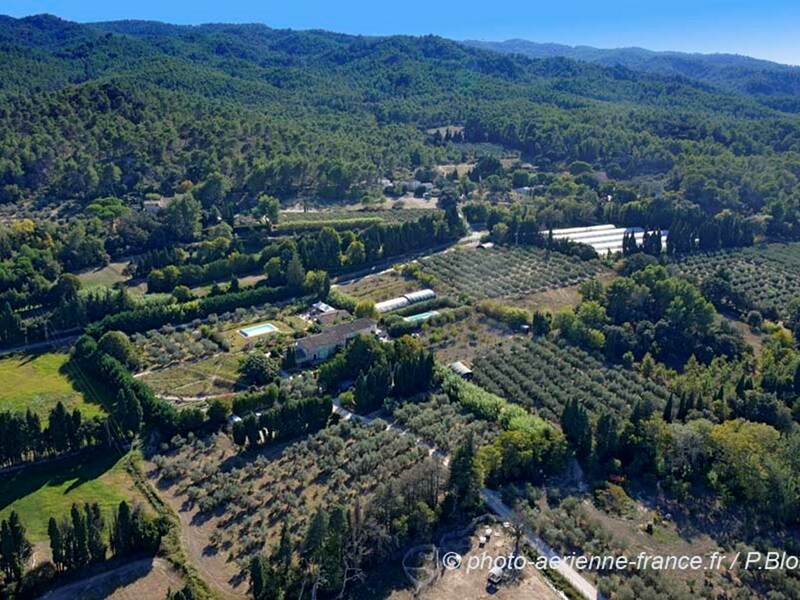 Picture of Provence inland, it is authentic Provence with style and refinement. This is the country of writers Alphonse Daudet and Frédéric Mistral. Rousillon: Ochres, Colorado Provençal way technicolor The earth is red flaming, orangey place. Sometimes she pulls on the yellow or even the green and with the setting sun, she turns to dark purple. Ocher color the landscapes of the Luberon. Following the retreat of the sea several million years ago, the accumulated limestone deposits were transformed into ocher sand under the effect of torrential rains. Ocher was first used for rock paintings, then rediscovered at the time of the Revolution and marketed for a century throughout the world for its unalterable coloring properties. Natural pigment, ocher is now back in force, giving life to many activities, affecting painting, decoration, pottery and building. Follow the white water from Fontaine-de-Vaucluse and its mysteries to Isle-sur-la Sorgue, capital of antique shops. Between Mont-Ventoux and the Luberon hills, the river Sorgue, a clear water, winds from Fontaine de Vaucluse, its resurgence at Isle sur la Sorgue, "Venice Comtadine" became capital of China. In Isle sur la Sorgue, change of scenery. The Sorgue sings in the dawn wheels, along the canals reminiscent of Venice, and where we sometimes cross nego chin, these "Provencal gondolas".Follow the quays, and you will find on the way the stalls of antique shops, which this small city is one of the European capitals. Avignon, city of the Popes: Capital of the festivals, medieval city with the confidential and picturesque streets. Who did not survey the Papal Palace, the Pont St Bénézet or immersed in the tumult of theater festivals in July, did not enjoy a holiday in Avignon! Arriving in Avignon, gateway to PACA, by the banks of the Rhone, the Palace of the Popes and Notre Dame des Doms stand out against the blue sky. In the distance, the Pont St Bénézet defies the rage of the Rhone, which once had half of this building!Avignon, medieval walled city, was also "Vatican in Provence" the time of 7 popes and 2 anti-popes who left their home, the Palais des Papes, in memory of their cultural influence in Europe. Today, the two festivals of Theater, The Avignon Festival and Avignon Off, make the city of the Popes every year the capital of the theater in France, and perpetuate the cultural history of the city. Magic of a country with preserved natural spaces, fragile sanctuary of an exceptional fauna and flora in Europe, protected by the Regional Natural Park of Camargue, it is a unique landscape.It is also as a natural space of global interest that Arles is classified by UNESCO as World Heritage of Humanity. Located between the two arms of the Rhone (it is a delta: the big Rhône to the southeast, the small Rhône to the southwest) the Camargue is a vast wetland of about 100,000 hectares, the largest in the world. France and also one of the most secret. It is divided into three distinct zones: crops in the north of the delta, salt marshes in the west and east and lagoons in the south. The Camargue, it is also a territory made by the man, who shaped the space with notably the containment of the two arms of the Rhone and the sea, and the development of an adapted agriculture like the culture duriz and the salt harvest. He succeeded in controlling the exchanges between the fresh waters of the Rhone, the saline waters of the Mediterranean and the lands of the delta. A hundred or so manades are devoted to the breeding of horses and bulls Camargue.Le horse is primarily the companion of the gardian but also its working tool.The Camargue is also an ornithological sanctuary since nearly 400 species of birds have been recorded including the flamingo, which is the symbol of the Camargue birds. You have to take the time to explore the Camargue by following marked pedestrian or cycling trails or riding a Camargue horse, which is an ideal mount for equestrian tourism. CAMARGUE, RANKED BIOSPHERE RESERVE BY UNESCO. Mont Ventoux ... A colossus of 1912 m. At the first green foothills made of vines and forests, this lunar landscape is replaced by a tower with its white and red antenna, which houses a telecommunications network and a weather station. A bald mount overlooking Provence and from which, in good weather, you can see the Mediterranean to the south, the great peaks of the Alps to the north. He gave his name to this terroir with wines, truffles, the cherry of the Monts de Venasque, the Carpentras strawberry ...stretching at his feet, from Vaison-la-Romaine to Carpentras, from Bedoin to Sault.